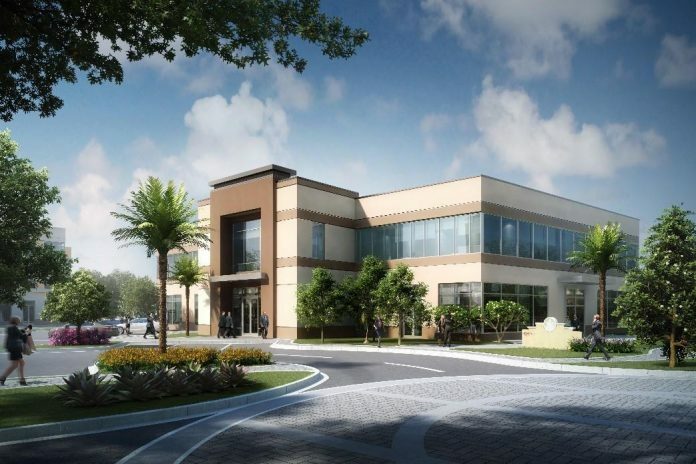 Lake Mary-based real estate developer Providence One Partners has broken ground on a new office/retail building at the Colonial TownPark. The ground floor features 5,400 sq. ft. of retail or restaurant space with a patio seating option. Providence One will occupy 2,700 sq. ft. on the second floor with an additional 2,700 sq. ft. of Class A office space available for lease. Orlando based Johnson-Laux is the general contractor, while Altamonte Springs-based Forum Architecture is the architect. Construction is expected to be completed in the first quarter of 2019.